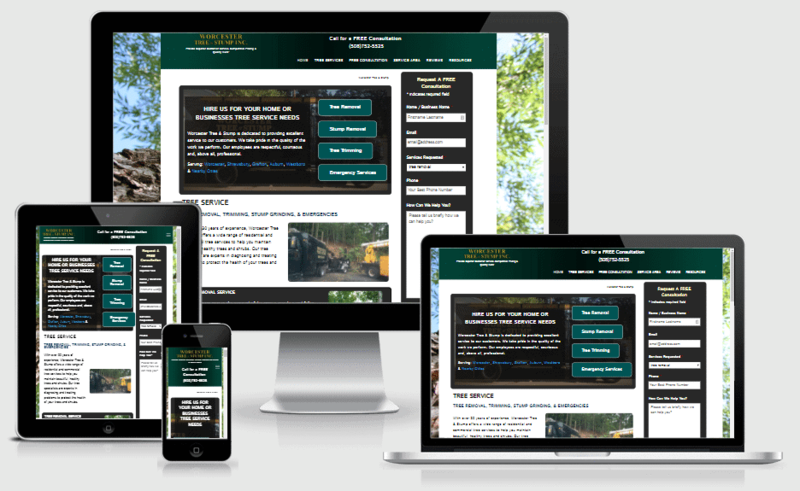 When Paul and Michelle from Worcester Tree & Stump, a tree service company in Worcester, Massachusetts, reached out to us to build a website to establish their digital presences, we were thrilled. 2. Create a lead capture funnel that would serve to find new business for their company. We built a responsive website for mobile users, added service schema, and made it secure to improve the company’s organic search presence and to drive conversions. The outcome: Owners, Paul and Michelle, have received more than a hundred leads for local tree work as a result. The leads received from the site go directly to Michelle’s iphone via text message. Additionally, the site ranks for relevant search terms. Paul and Michelle are extremely happy!